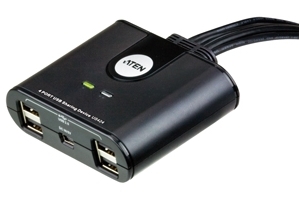 The US424 is a 4-port USB peripheral sharing device that enables 4 computers to share the use of 4 USB devices – a keyboard, mouse and up to two peripheral devices. 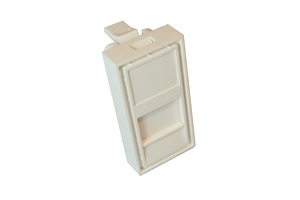 It eliminates the added expense of having a separate USB keyboard, mouse and peripheral device(s) for each computer. 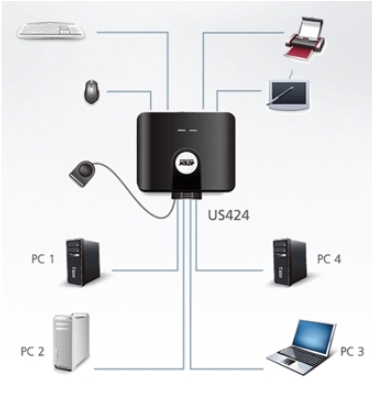 The US424 all-in-one design allows for a neat and tidy installation – no need to connect 4 separate USB cables to the computer, thus eliminating cable clutter. For extra convenience, it features an external remote port selector that can simplify desktop layout, and select which computer needs to use the USB devices. US424 is the ideal way to share USB peripherals in a multimedia office environment.